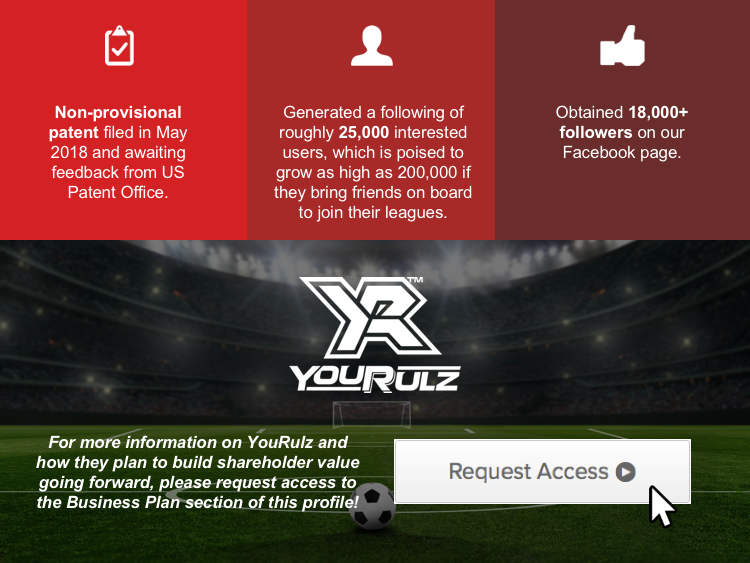 YouRulz is a fantasy sports platform that moves players closer to “reality” than any previous option. We’ve made a commitment to capitalizing on the lack of an innovation present in other platforms through “game-like” features that give players more control. Topping the list is the ability to make In-Game substitutions of underperforming or injured athletes. 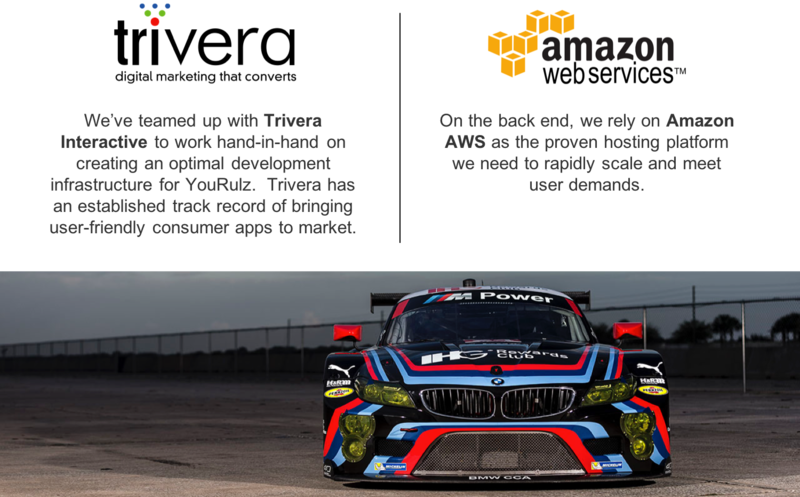 Furthermore, our platform’s mobile-first design looks to proactively improve upon the existing functionality issues with other providers’ mobile solutions. You don’t have to be a pro athlete for a shot at sports glory. 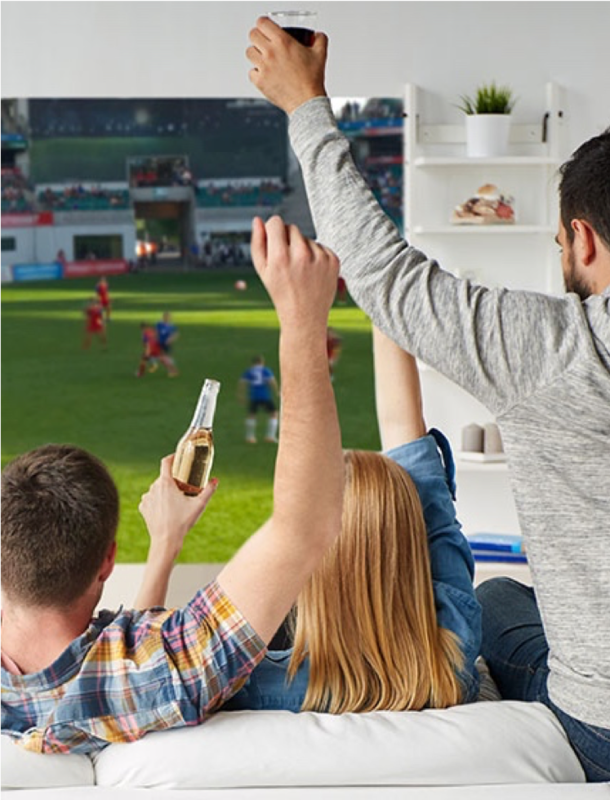 The fantasy sports industry has been growing at a double digit annual rate for over a decade now, and appears to be picking up even more speed. However, this growth masks the widespread discontent among players regarding the top platforms’ lack of innovation - particularly with in-game features. The community is clamoring for changes that give players more of a realistic, coach-like impact on games. 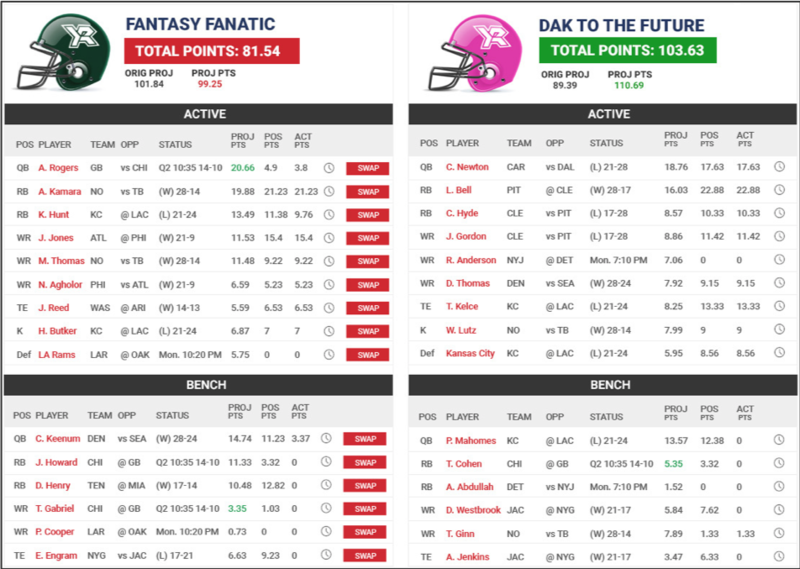 It’s about time to zero in what’s next and move fantasy sports more towards “reality”. 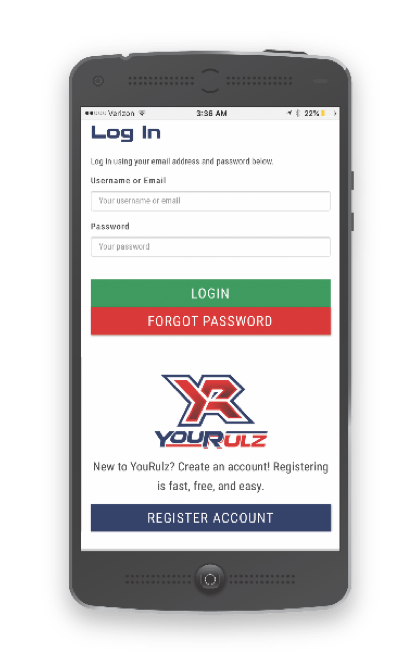 Enter YouRulz: the fantasy sports platform that finally gives the player more control. 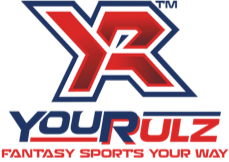 Created by fantasy fanatics, YouRulz is putting an end to the days of simply “playing” fantasy sports through total customization that allows for all-hands-on-deck participation. 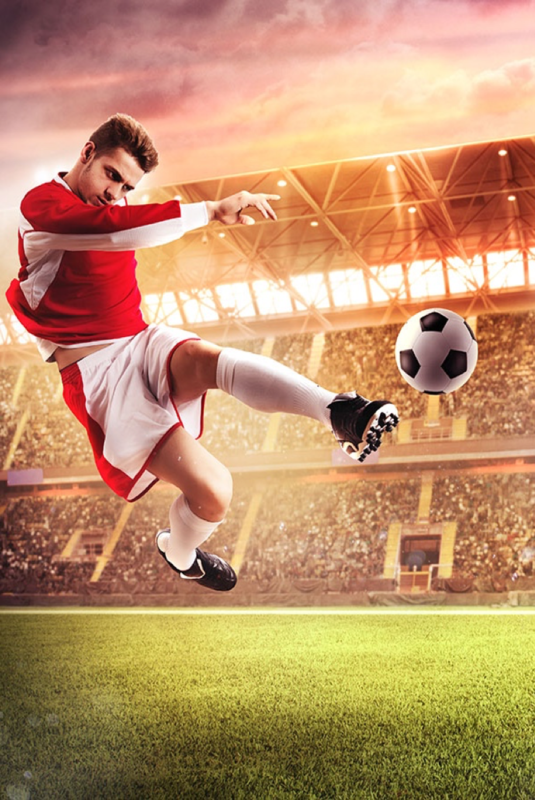 Our platform is also being designed as a mobile-first solution from the start - allowing us to sidestep the common issues that exist with other mobile fantasy sports clients. We’re committed to providing a stable app environment across all operating systems and devices, focused on consistent delivery of real-time gameplay and results. The end result of this developmental excellence is a fantasy sports experience that’s a true reflection of our name: all according to “your rules”. 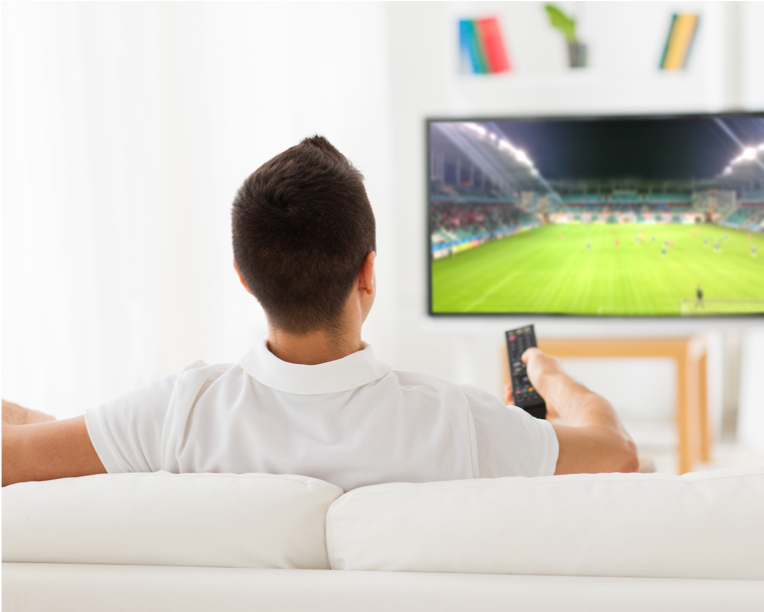 This starts with the ability to make In-Game Substitutions - a key feature that keeps YouRulz ahead of the pack. 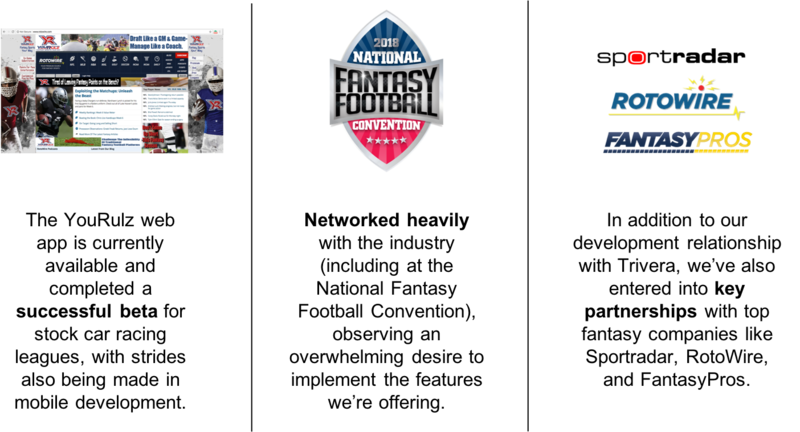 YouRulz was conceptualized by a group of avid fantasy football players who grew tired of the nonexistence of enhancements among current systems.